If you’re looking to make some special memories with your sweetheart this Valentine’s Day, consider an overnight at Stevenson Ridge. 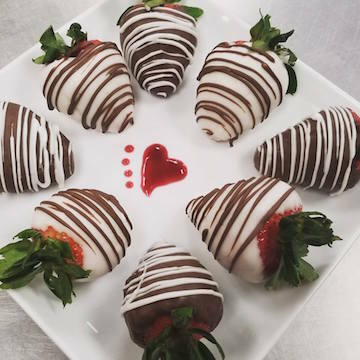 We have a special Valentine’s Day package we’re offering guests to make their holiday extra memorable: a wood-burning fire, sparkling wine on ice surrounded by votive candles, and chocolate-covered strawberries upon arrival with breakfast delivered in the morning. A couple years back, I was drawing a blank on what to get my mom for her birthday (end of January). This woman has everything is she needs right now, so what do I get her that she’ll enjoy?